When fashion takes a page from an art book (quite literally sometimes). Fashion and art go hand in hand. We can always discuss if fashion is a form of art or not, but either way, fashion will always turn to art for inspiration. Designers often find inspiration in movies, music, paintings and sculptures. Those muses help them create pieces that range from over the top couture to the everyday garments. The latest example of when fashion marries art was seen none the less but in Louvre. That’s where Louis Vuitton presented their collaboration with Jeff Koons. The French house is famous for collaborating with artists and has produced pieces by Yayoi Kusama among others. Just a couple of weeks ago the brand hosted a glamorous dinner in Paris, presenting the fruits of this collaboration. Now, I mostly know Jeff Koons by his balloon animal sculptures, so my expectations of what he’ll do for LV were a bit different. The artist took the iconic paintings of old masters and turned them into bags. While I am not amazed by this idea as we could argue that it lacks creativity (after all, you are reusing old pieces and not creating new ones), I must say that there are some lovely bags in this collection. 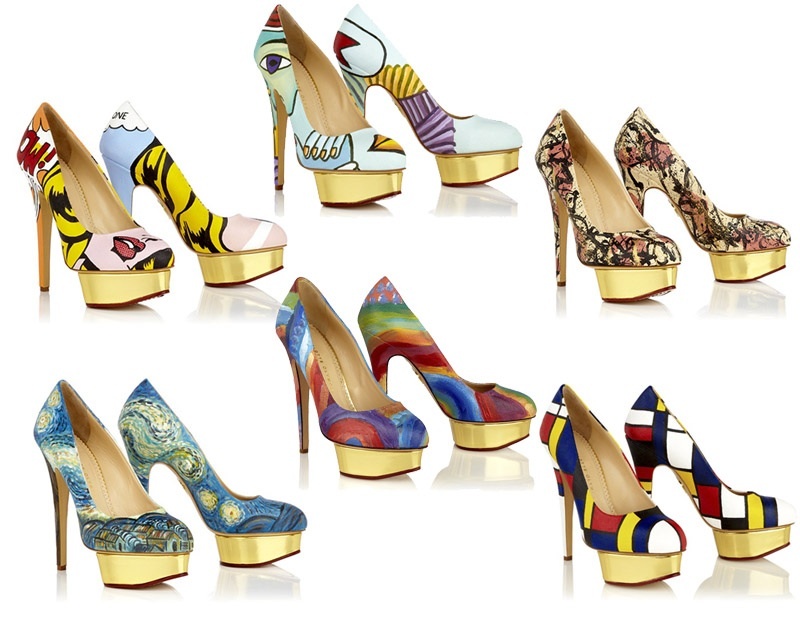 The whole idea also reminded me of the collection that Charlotte Olympia did. The shoe master created 6 pieces in her signature Dolly style, inspired by paintings of 6 masters like Picasso and Van Gogh. 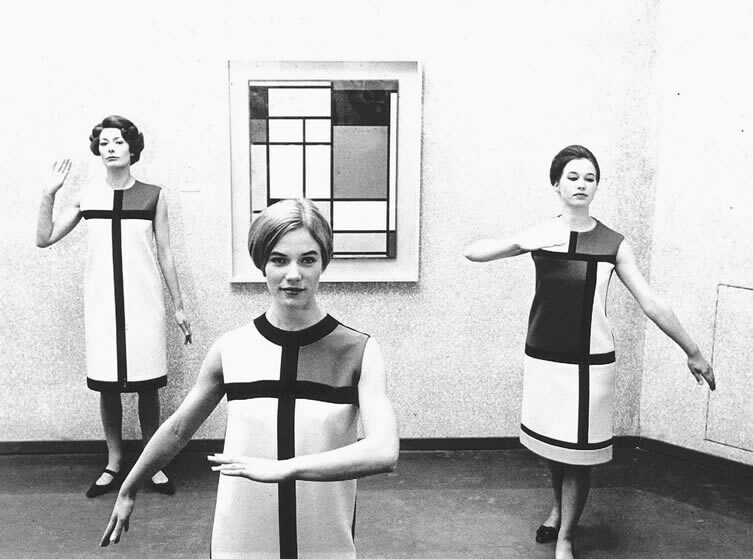 But, neither Charlotte nor Louis Vuitton are pioneers in this trend, as we can trace it back to Yves Saint Laurent and his iconic Mondrian dress. Also, Elsa Schiaparelli was collaborating with Salvador Dali, who was just as playful in his art as she was in her creations. As we can see, fashion and art have been flirting for a very long time and will continue to do so long into the future. We’ll see what new collaborations will bring. 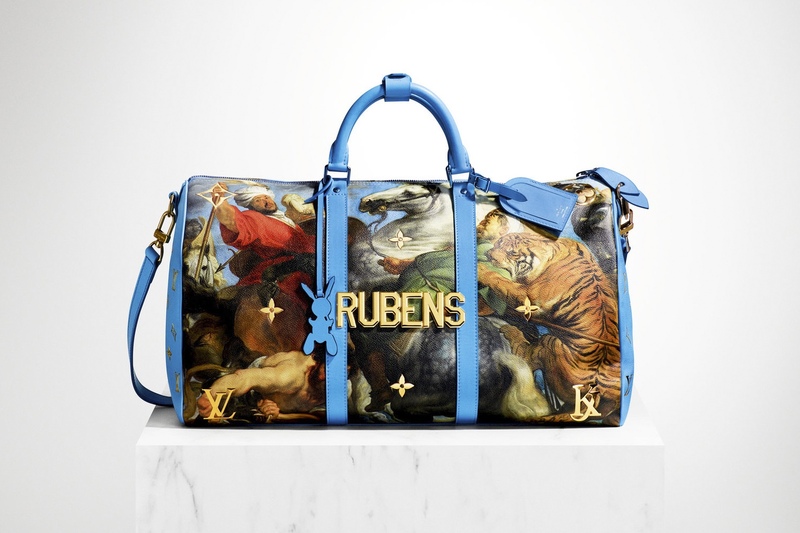 I like Jeff Koons’ art and I also love Louis Vuitton but I would not consider getting any from this collection. Woww!! Such a great combination!! I love this! Every single piece is amazing! Fashion and art go hand in hand- I love it!